So begins an article published Nov 18th, 1941 in the “Salt Lake Telegram.” The City Recreation Department would post barriers at the top and bottom of each hill. And every year the City’s children got their annual warning to coast only on designated lanes. The increase in personal automobiles saw an increase in sledding accidents each winter. 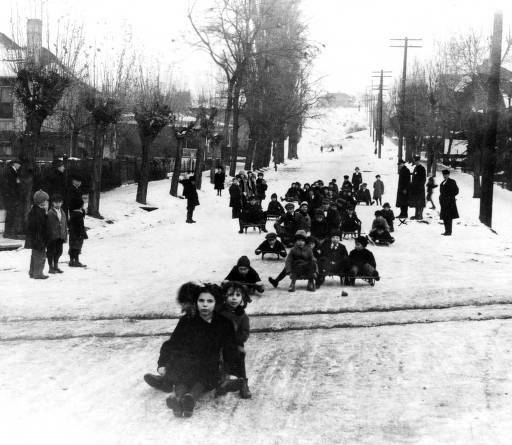 The City had a goal: No traffic accidents involving sleds. So they designated coasting lanes and wrote regulations to go along with it. It had to be a tough job for our police. They didn’t always get full parental cooperation. They were forced to play the bad guy and confiscate sleds being used outside the designated lanes. In 1943 the City was still dealing with its designated coasting lanes. 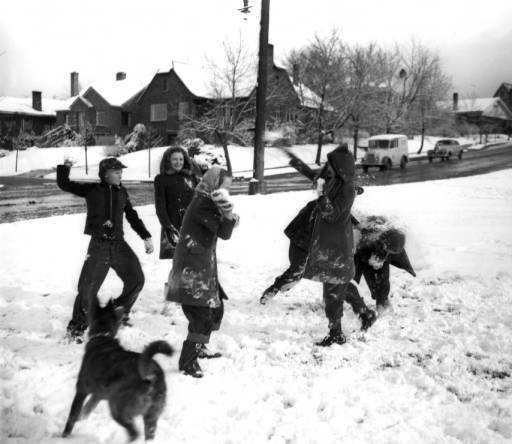 The County, which used to designate county roads for sledding, had gotten out of that business years earlier citing the traffic hazards involved and the difficulty policing the areas. Instead the Sheriff appealed to rural property owners to notify him if they had off-highway areas suitable for coasting lanes. He said his office would endeavor to inform the children. 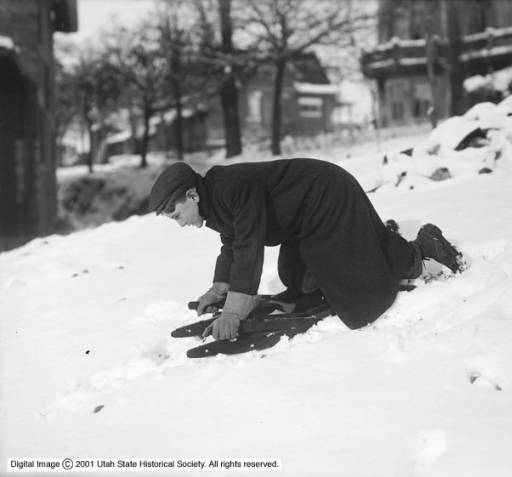 All photos used by permission, Utah State Historical Society, all rights reserved.